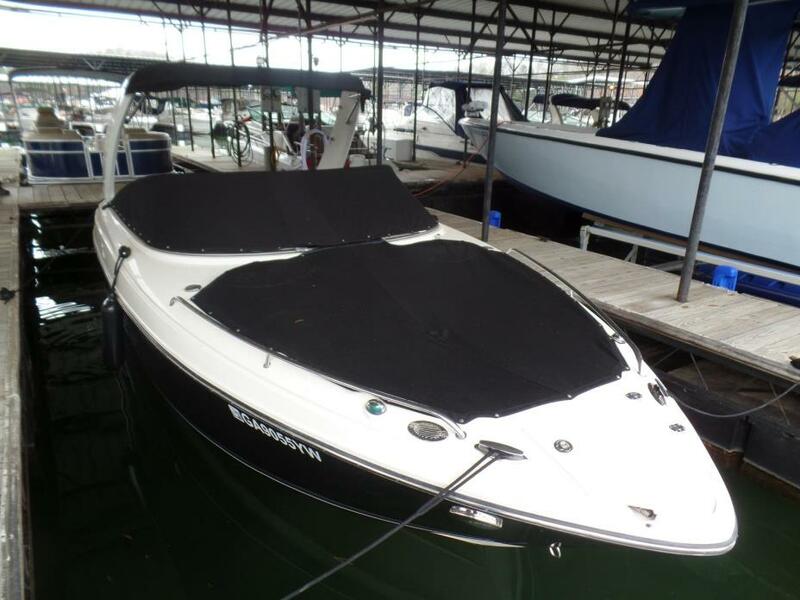 2008 Monterey 254 FS, This is a Beautiful and very clean 2008 Monterey 254 FS powered by a Mercruiser 377 mag 320hp with a Bravo III outdrive and only 103 Freshwater only hours. 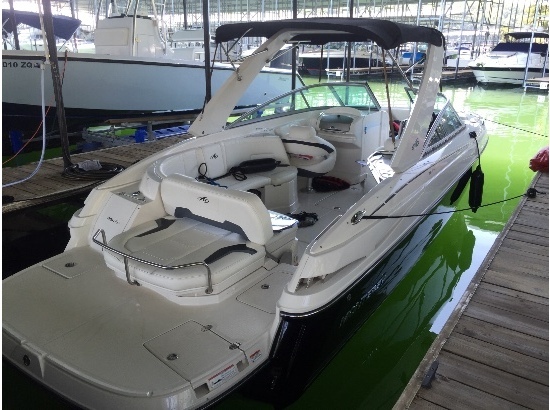 This boat comes with snap on bow and cockpit covers, Bimini top, snap in carpet, full enclosure, Kenwood stereo system, helm stereo remote, depthfinder, stainless steel docking lights, extended swim platform, forward boarding ladder, enclosed head compartment with pump out, flip up bolster seats, entertainment center with sink pressurized water system, large rear fold down sunpad and much more. THERE IS NO TRAILER WITH THIS BOAT. $44,995.00 or finance for $399.00 per month W.A.C. 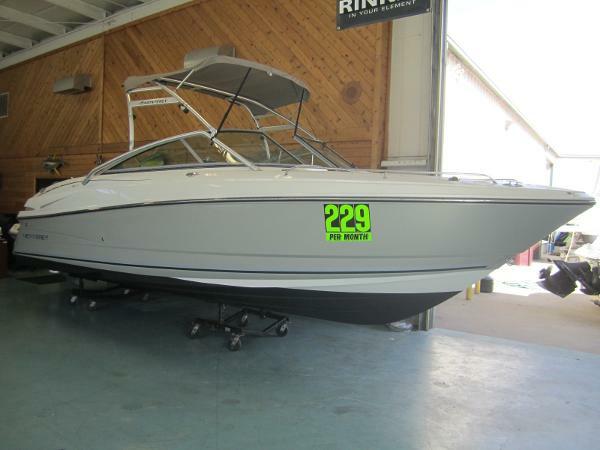 For more information on this 2008 Monterey or over 100 pre-owned boats in stock call or email American Boat Brokers today! 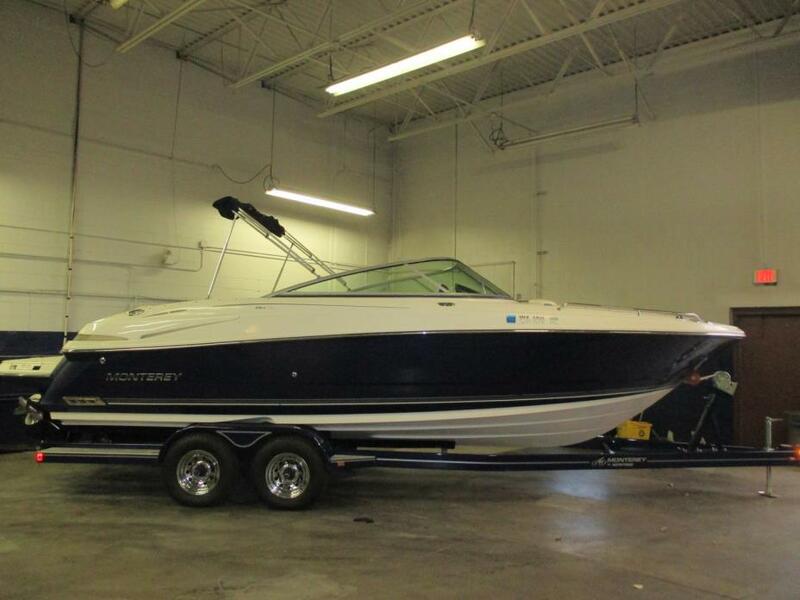 2010 Monterey 254 FS, This is a very nice 2010 Monterey 254 FS Powered by a Volvo penta 5.7 GI 300HP with Duo prop outdrive and 234 Freshwater only hours. This boat comes with a Folding Arch, snap on bow and cockpit covers, Large extended swim platform with swim ladder, CD/stereo, depthfinder, enclosed head compartment with pump out, Rear seat folds down into a large sunbed, cockpit entertainment center, flip up bolster seats, Table, large ski locker, pressurized water system, walk thru transom, Transom shower, transom stereo remote, dual batteries with switch and much more. THERE IS NO TRAILER WITH THIS BOAT. 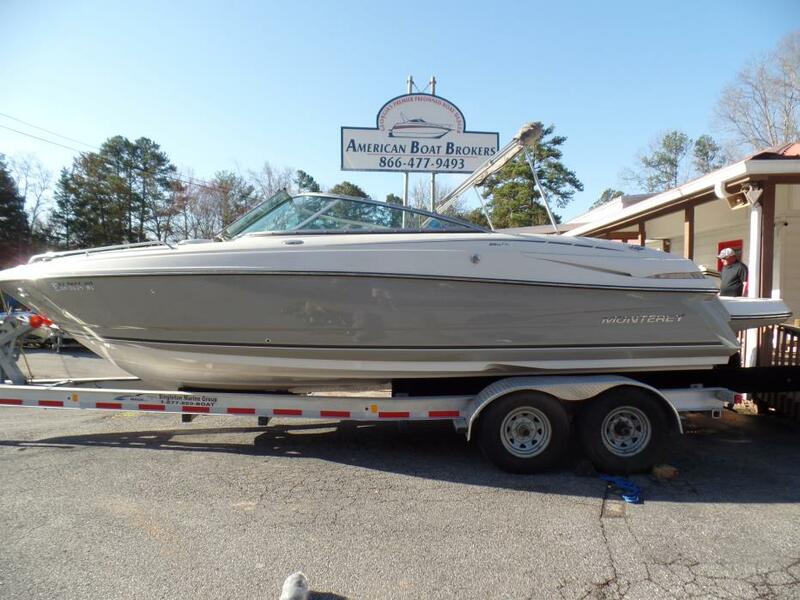 For more information on this 2010 Monterey or almost 100 pre-owned boats in stock call or email American boat Brokers today! 2008 Monterey 254 FS BRING THE WHOLE CREW...There's plenty of room for everyone on this boat!Plan the perfect day on the water with this roomy Monterey 244 FS Bowrider, featuring a powerful 320 HP Duo-Prop, Wakeboard Tower, Private Bathroom with Pumpout Head, Adult-Sized Bow Seating, Convertible Aft Sun Lounge, Garmin GPS, Bow and Stern Swim Ladders, Tons of Storage and a whole lot MORE!